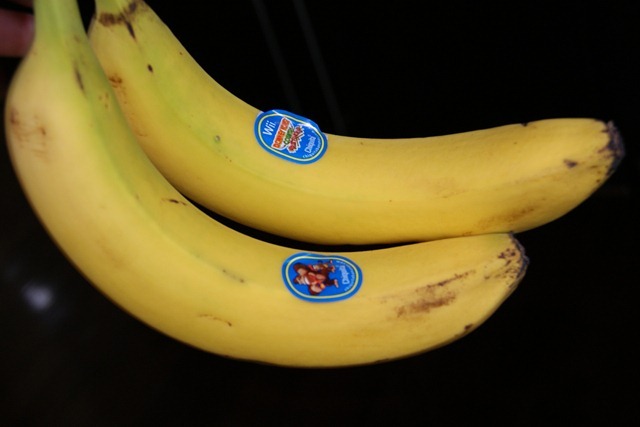 Is it always your bananas fate to end up in a bowl of oatmeal or a loaf of bread? 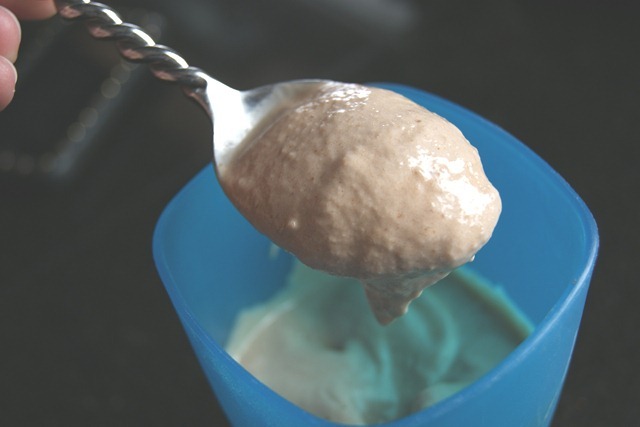 Why not give them a whirl and cool off with this scrumptious and nutritious homemade banana frozen yogurt after a sweaty workout. The beauty of this frozen yogurt is that it tastes as good as ice cream but is healthier and requires virtually no cooking, just blending. And it has me singing Gwen Stefani’s song B-A-N-A-N-A-S! I used this Peanut Butter & Co. 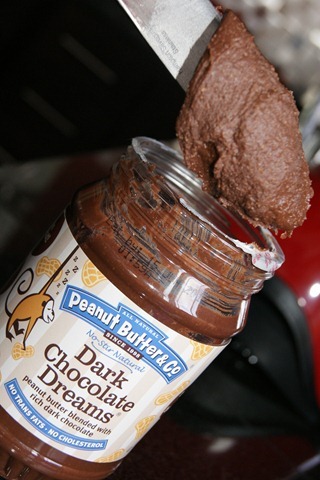 Dark Chocolate Dreams peanut butter and it is delicious! 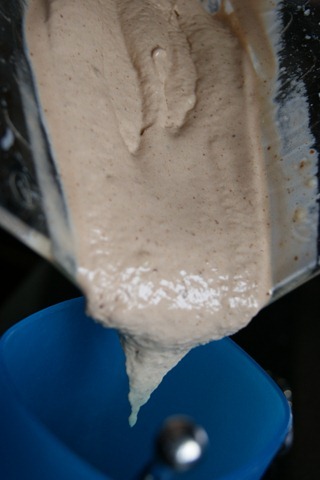 Add all ingredients to a blender and blend up until smooth. Pour into serving glass and enjoy! You could also top it with some chocolate chips, crushed gingersnap cookies, cinnamon, maple syrup or whatever you fancy! You will go B-A-N-A-N-A-S for this frozen sweet dessert! What is your favorite flavor of frozen yogurt? 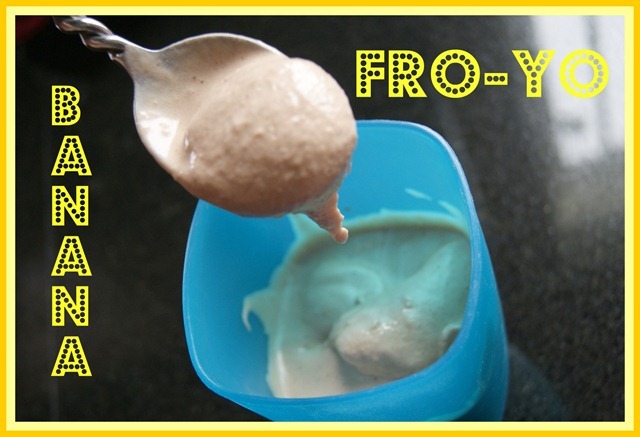 Have you ever made something similar to this banana fro-yo? If so, please share your recipe with me! 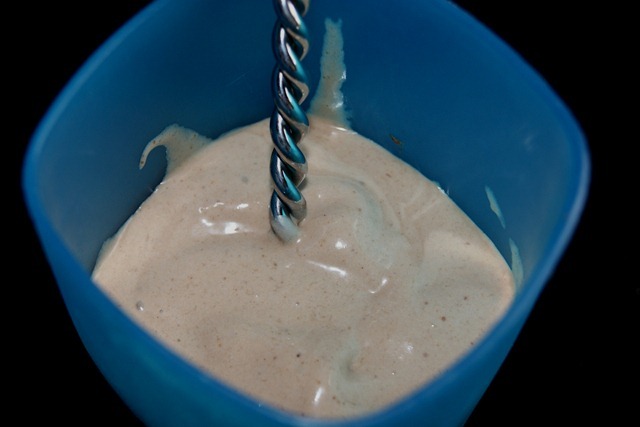 This entry was posted in Deliciousness and tagged banana, frozen yogurt. Bookmark the permalink. Delicious. 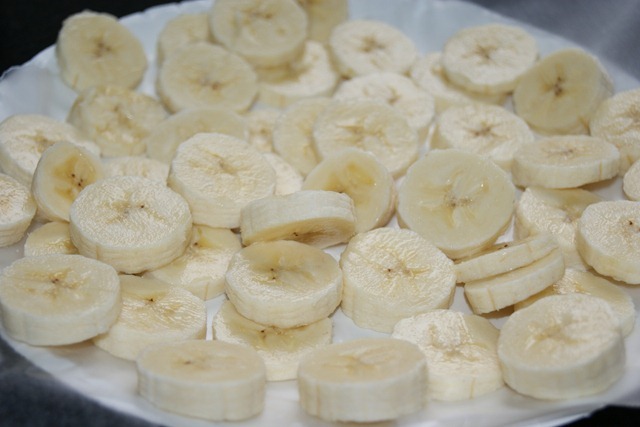 Banana froyo is the bestttt. LOVE this! I was just reading about how to make a smoothie with just frozen bananas and that’s all. I love your chocolate version more. Banana ice cream is THE best thing in the entire world. Seriously. I looooovveeee this! I don’t even use milk – just a frozen banana and Dark Chocolate Dreams. Without milk it’s much thicker! I’ve totally made this, and I forget how much I love it. Should definitely have had this instead of the bag of Sun Chips I just had. I am alll about the fro-yo! 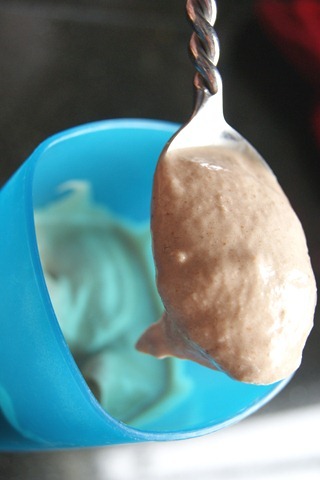 Peanut butter yogurt gets me everytime! 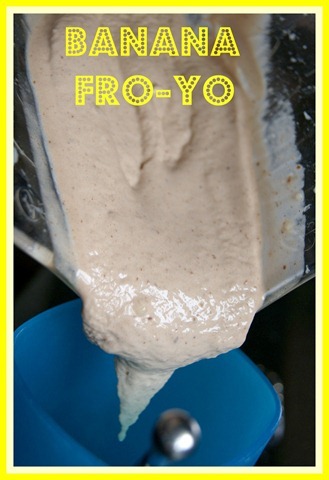 Why have I never thought to add my DCD to my banana fro yo!?!?! Must do tonight. I’m always pretty bummed because my blender/food processor isn’t good enough to cut up my frozen bananas 😦 But it looks so good! Yum! 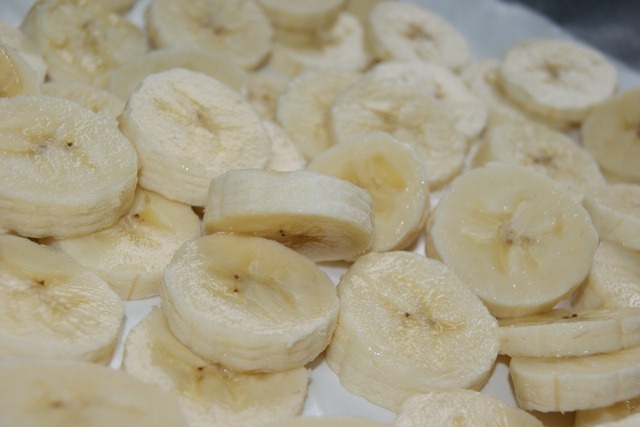 I love bananas in frozen things. And your spoon is totally cool, by the way.